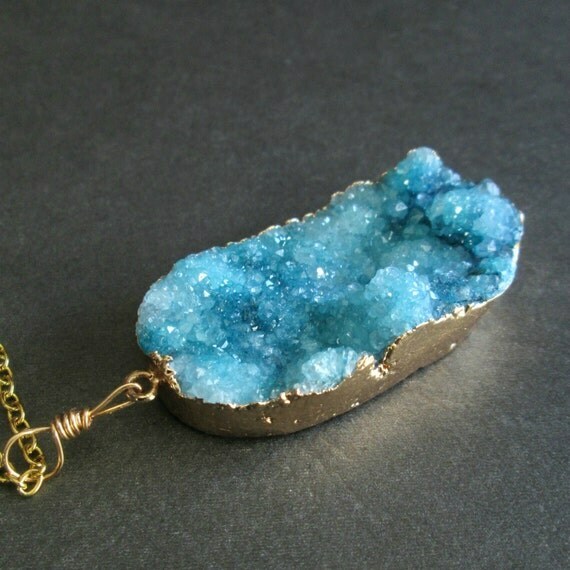 A turquoise druzy necklace, large quartz crystal cluster dipped in gold. The sparkling rock varies from light to dark blue, & the stone is over 2 inches long, so there is a lot of it to enjoy - this is not a small pendant. Druzy is sometimes called drusy or even druze. I hand wrapped the bail and hand cut the gold plated chain, which you can order in different lengths. Folksy :: Buy "Aqua Pendant Necklace"